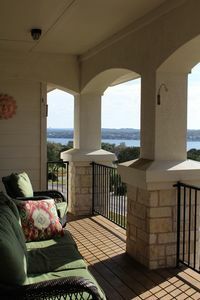 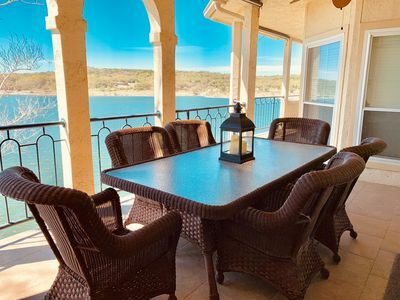 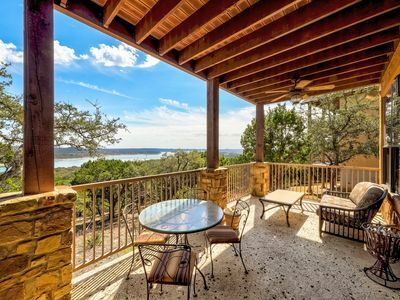 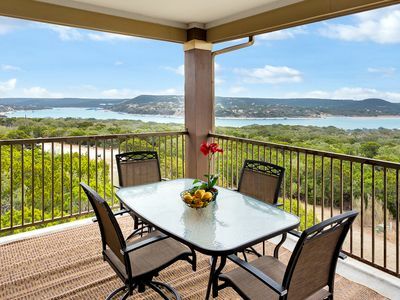 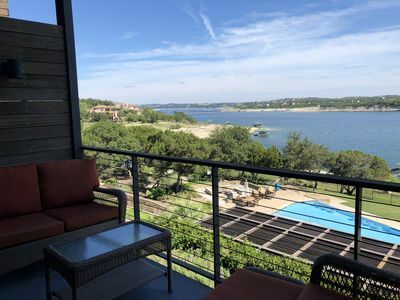 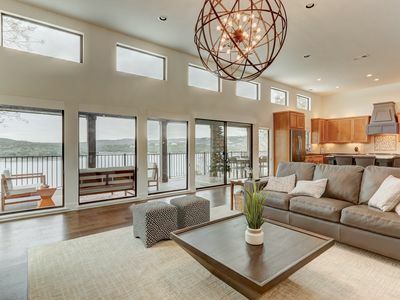 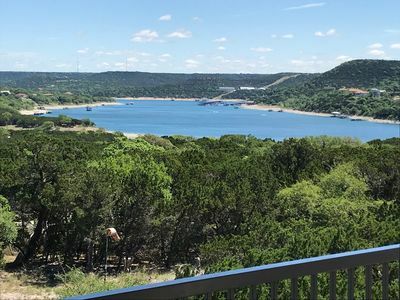 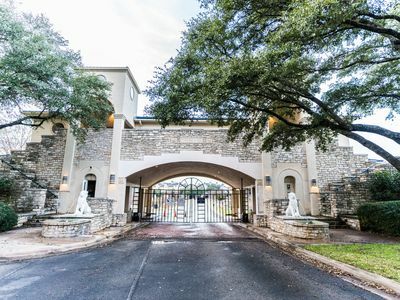 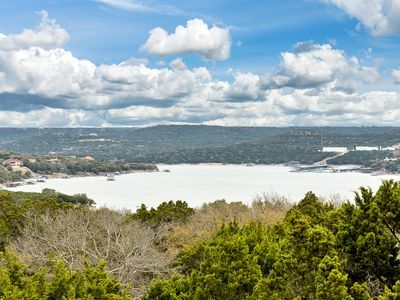 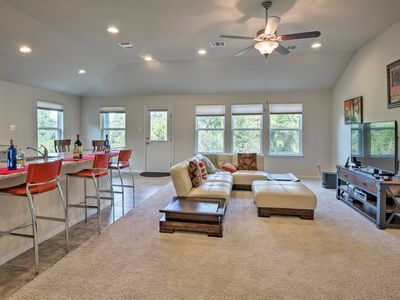 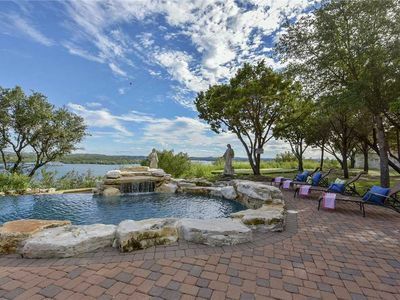 This hill country escape has 2 expansive decks of panoramic Lake Travis views. 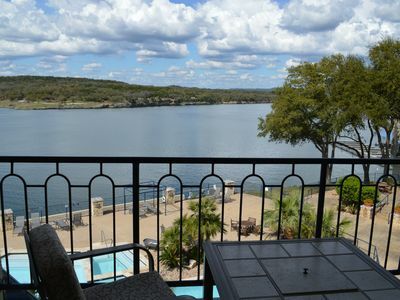 Enjoy all The Hollows resort has to offer ~ swimming, boating, fishing, sand volleyball, and miles of hiking. 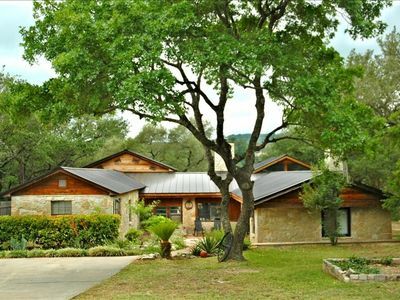 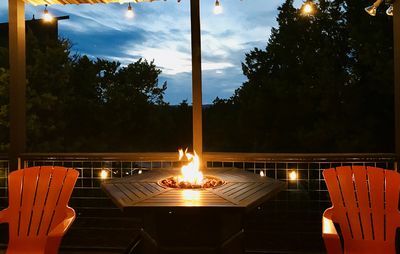 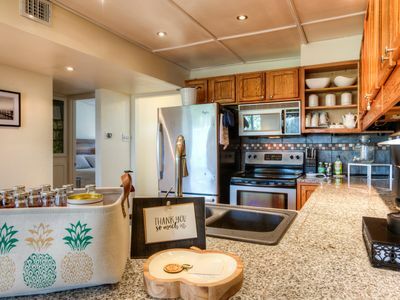 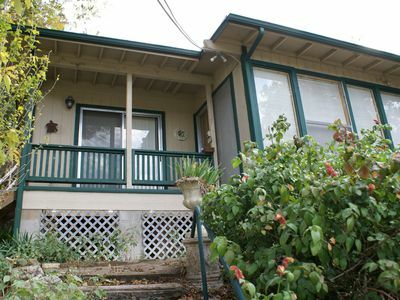 Just out the front door guests access a smokehouse and fire pit with lake and canyon views. 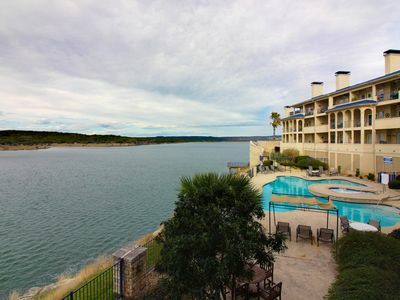 The Hollows Beach Club with multiple pools, waterfalls, a heated spa, grills, full-service restaurant, and fitness center is just a short drive or leisurely stroll down the hill. 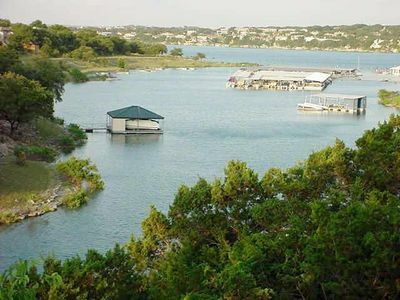 Marina use is also available. 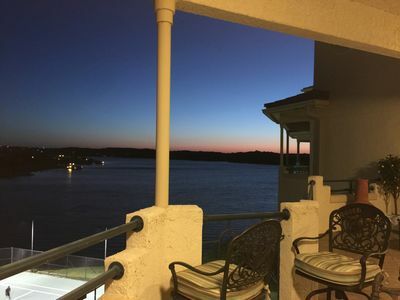 *Please note: the Beach Club restaurant has limited hours and may not be open during your stay. 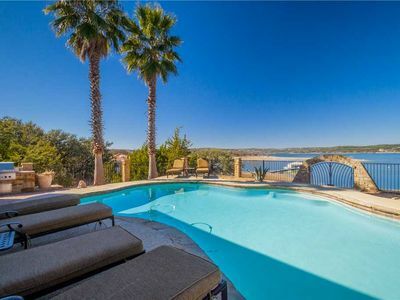 **Pools are not heated, but the spa is heated Fri-Sun in winter, spring and fall. 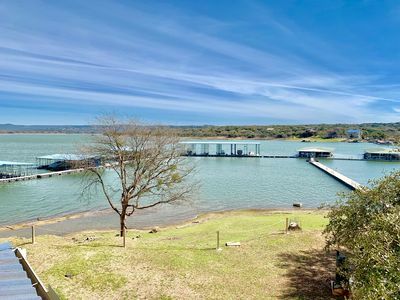 Vista Volente Waterfront Home with Boat Dock!